Custom European Old World Brick Beauty, w/Stone & Stucco Accents! Inviting Floor Plan w/Soaring Ceilings & Extensive Trim Features. Fabulous Two Story Family Room w/Winding Staircase Leading to an Open Balcony w/ Library & Reading Area. Gourmet Kitchen w/Granite, Breakfast Island, Butler Serving Bar & Huge Pantry. Open to Cozy Keeping Room w/ Beautiful Stone Fireplace. Master & Spacious Secondary Bedroom Located on Main Level. Two Upper Private Bedroom Suites. 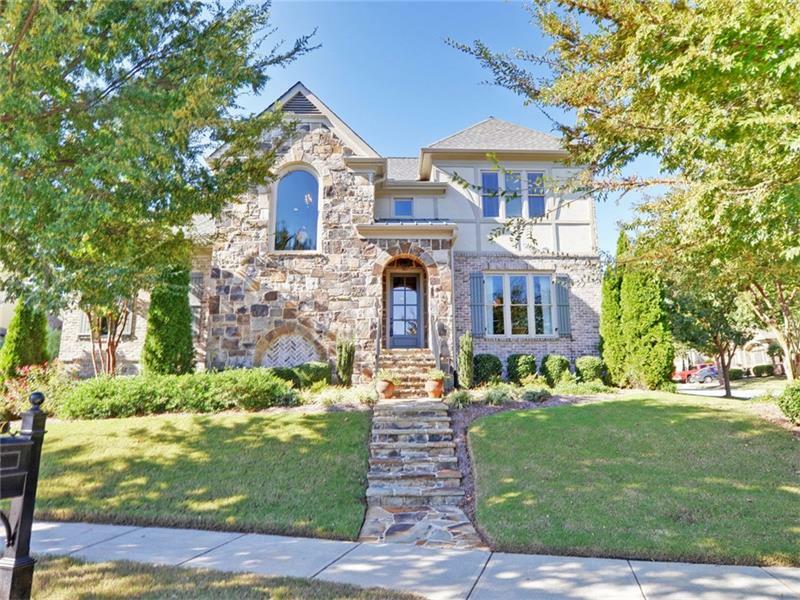 Two Fireplaces, Wine Cellar, Screened Porch Open to Courtyard Gardens, 3-Bay Garage w/Private Alley Access.